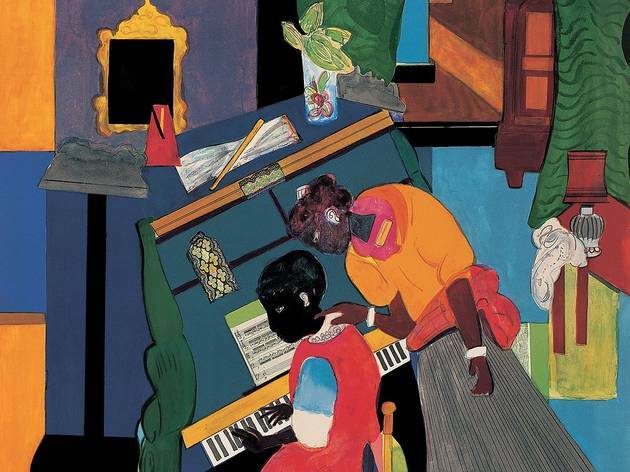 Romare Bearden, The Family, 1975. 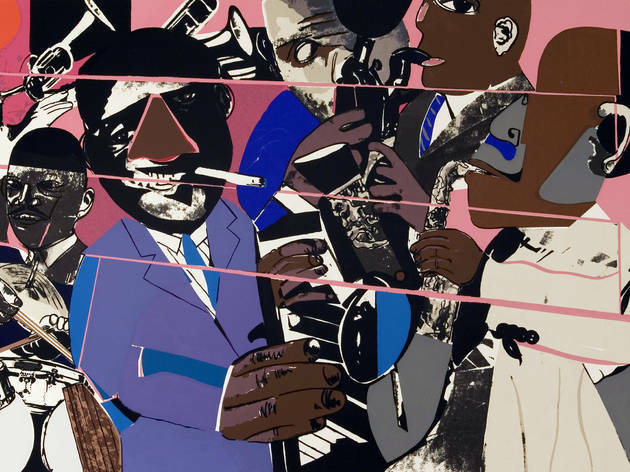 Courtesy of the Romare Bearden Estate, � Romare Bearden Foundation/Licensed by VAGA, New York, New York. 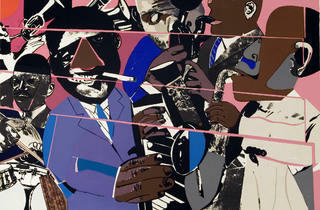 Romare Bearden, Out Chorus, 1979-80. 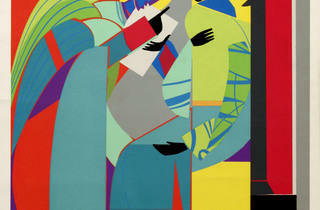 Courtesy of the Romare Bearden Estate, � Romare Bearden Foundation/Licensed by VAGA, New York, New York. Romare Bearden, The Train, 1975. 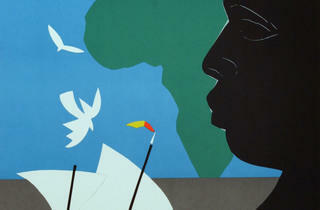 Courtesy of the Romare Bearden Estate, � Romare Bearden Foundation/Licensed by VAGA, New York, New York. Romare Bearden, Falling Star, 1980. 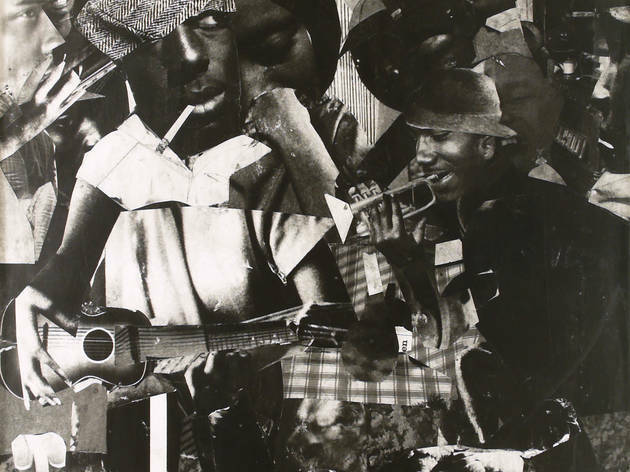 Courtesy of the Romare Bearden Estate, Estate, � Romare Bearden Foundation/Licensed by VAGA, New York, New York. 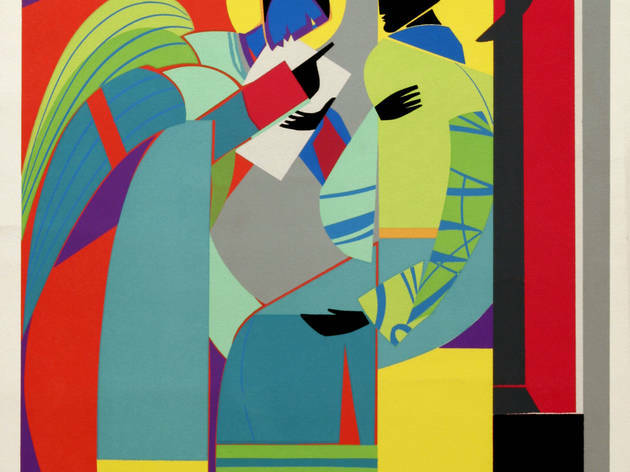 Romare Bearden, Homage to Mary Lou, 1984. 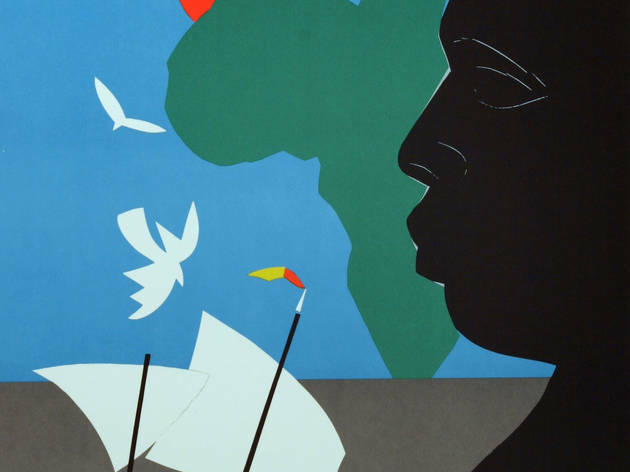 Courtesy of the Romare Bearden Estate, � Romare Bearden Foundation/Licensed by VAGA, New York, New York. Romare Bearden, Train Whistle Blues II, 1964. 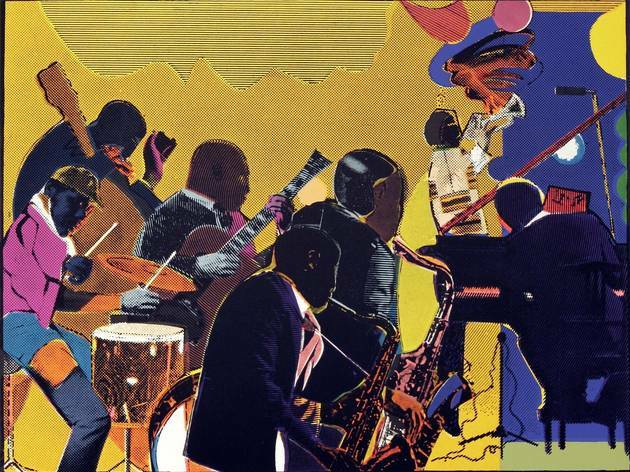 Courtesy of Romare Bearden Estate, � Romare Bearden Foundation/Licensed by VAGA, New York, New York. 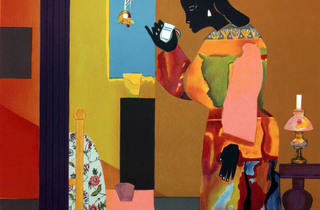 Romare Bearden, Salome (from the Prevalence of Ritual Suite), 1974. 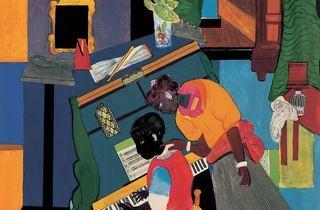 Courtesy of the Romare Bearden Estate, � Romare Bearden Foundation/Licensed by VAGA, New York, New York. 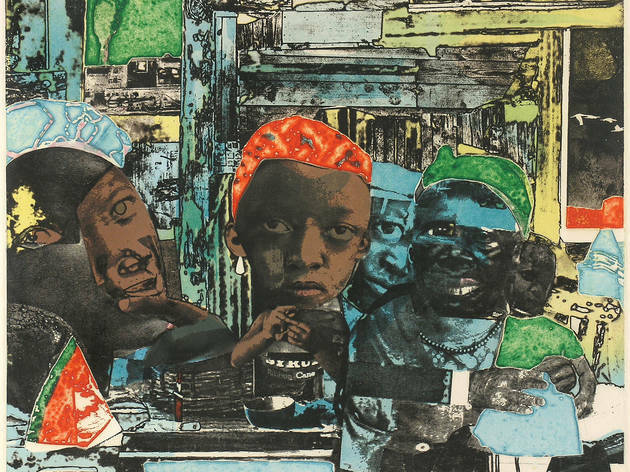 Romare Bearden, Roots, 1977. 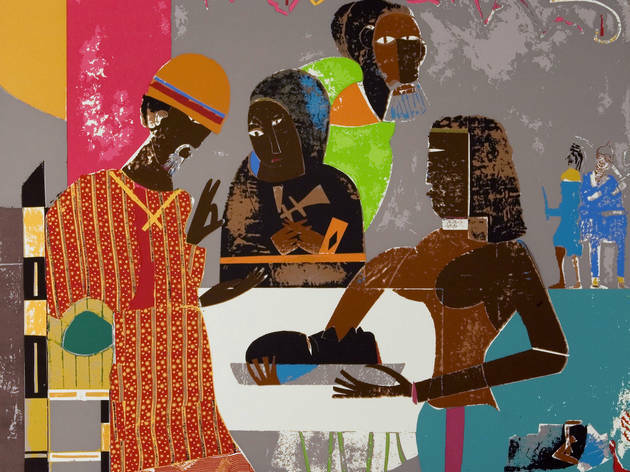 Courtesy of the Romare Bearden Estate, � Romare Bearden Foundation/Licensed by VAGA, New York, New York. 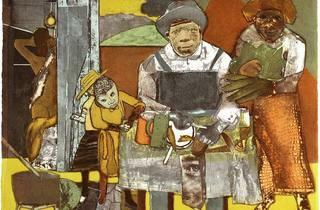 Romare Bearden, Tidings, c. 1977. 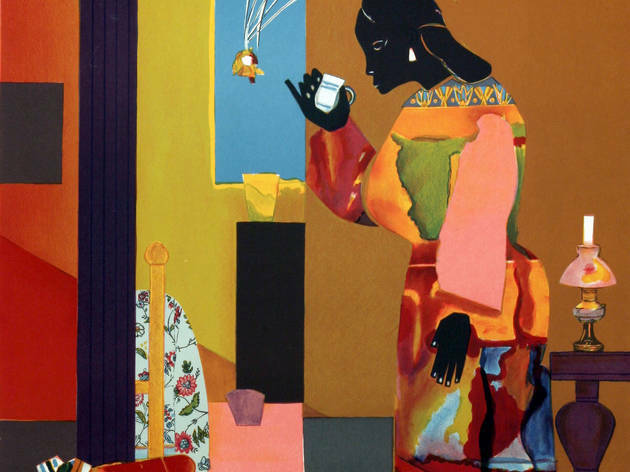 Courtesy of the Romare Bearden Estate, � Romare Bearden Foundation/Licensed by VAGA, New York, New York. 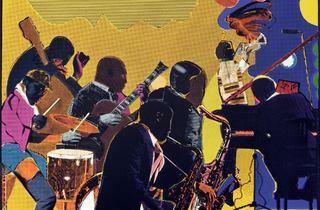 Romare Bearden, Jazz II, 1980. 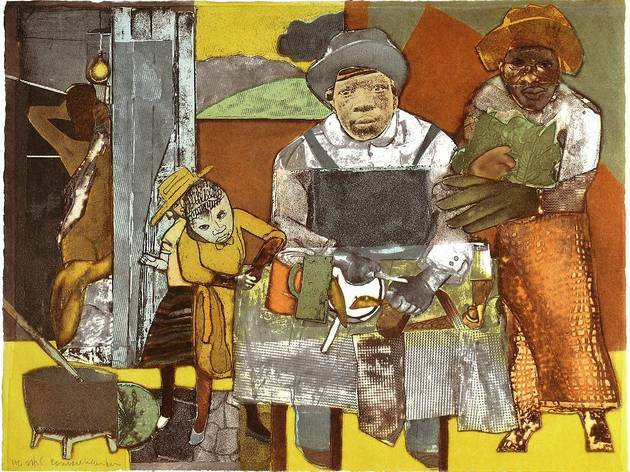 Courtesy of the Romare Bearden Estate, � Romare Bearden Foundation/Licensed by VAGA, New York, New York. How does an artist become a jack of all trades, master of most? This 30-year retrospective of Bearden’s (1911–88) graphic works suggests it’s via collaboration and an ongoing openness to the new. 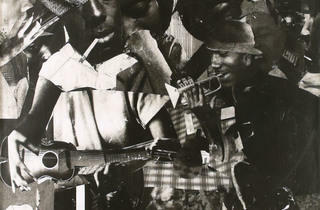 Though best known for his evocative collages—which fuse magazine clippings with patterned fabrics, the rural South with the urban North and everyday rituals with mythic events—the artist constantly reworked his themes and concepts in other media, studying with master printers to push the boundaries of his own innovation. 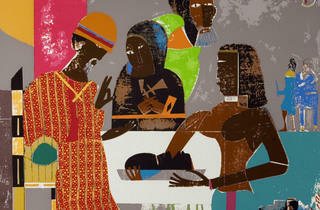 “From Process to Print,” organized by the New York–based Romare Bearden Foundation, is heavier on process than print. It contains about 75 works but seems smaller due to the inclusion of many versions and drafts. Detailed wall text distills printmaking fundamentals, providing context that’s more technical than thematic. 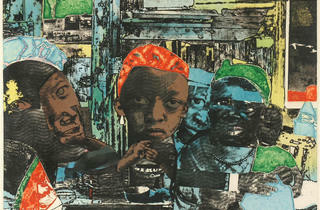 As viewers examine different stages of The Train (1975)—from copper etching plate to black-and-white Photostat paper to transparencies (Kodaliths) to the final etching and aquatint—they see how Bearden reinvented works (in this case, a 1964 collage) using color, texture and geometric reconfigurations. The jazz aficionado improvised with past motifs to arrive at new compositions, often engaging African-American cultural heritage. Jazz is the subject of the boldly colored etching and aquatint Out Chorus (1979–80), one of our favorites; biblical and mythological imagery dominate other works. By lifting the veil from Bearden’s printmaking process, the show hints at how the artist remained so prolific during the latter years of his career with no decrease in inventiveness.